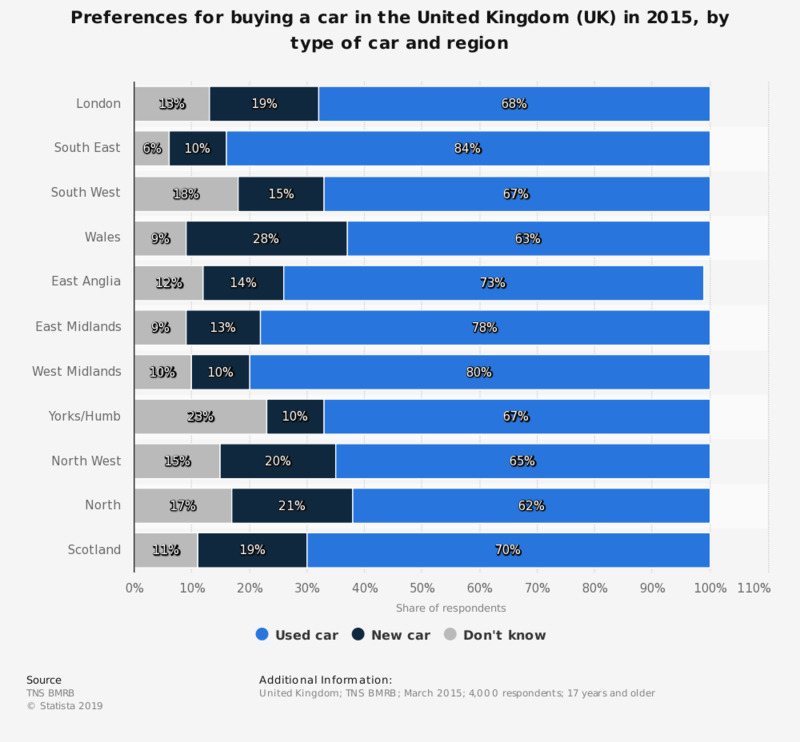 This statistic shows preferences from different regions of the United Kingdom for buying new or pre-owned when it comes to buying a car, based on a survey carried out in March 2015. Used cars were favoured across the country. The region with the lowest share of respondents favoring used cars was Wales with 63 percent.